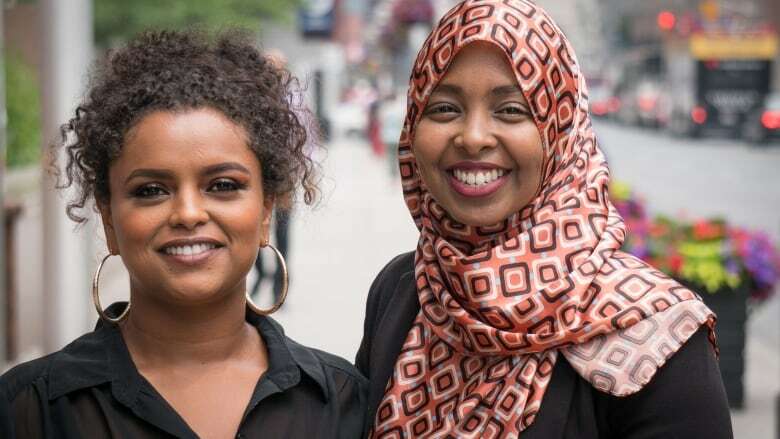 Rania El Mugammar and Samiya Abdi are both black Muslim mothers in Toronto. They share how they talk to their kids about navigating racism and Islamophobia here in Canada. 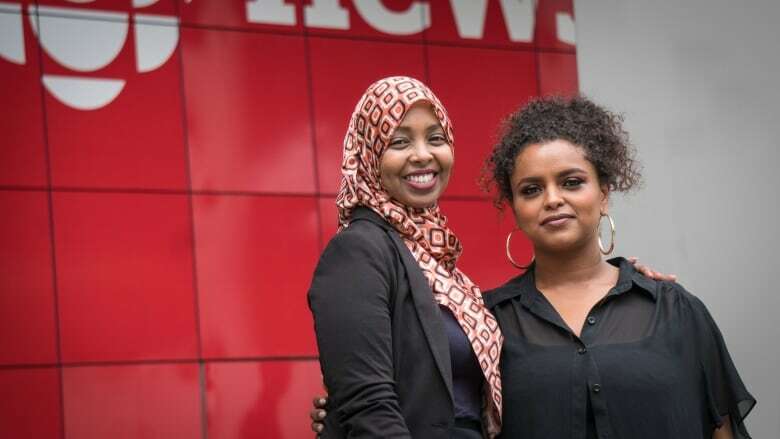 Samiya Abdi and Rania El Mugammar are both raising children in Toronto. As black Muslim mothers, they face the challenge of how to prepare their children to move through a world fraught with racism and Islamophobia. Like other black Muslim parents, Abdi and El Mugammar are forced to have regular. almost daily, conversations with their children to help educate and protect their kids from the world their inheriting. Samiya Abdi describes herself as a confident person who takes charge of the spaces she's in. But her fourteen-year-old daughter, who only recently started wearing a hijab and became visible as a young Muslim woman, doesn't share the same level of confidence. Abdi says she realized after recent incidents of Islamophobia on Toronto public transit and the Quebec City mosque attack that the conversations she was having with her daughter needed to reflect the often treacherous world black Muslim women inhabit. "I've actually had a conversation with my daughter where I came home and it was just in passing saying 'Oh my God that happened' and I didn't really internalize the fear and the concern until she was like, 'Yeah Mama, I'm often worried when I'm outside.' So these are the added conversations that I have to have with her, which is disheartening at times," Abdi says. Abdi says she has tried to empower her daughter to be a trusting, open-hearted, confident woman. Though she feels it's important to prepare her daughter for the hardness of the world, Abdi is aware of the risks involved in having 'the Talks'. "I had a decision to make. Do I protect my child, whereby I don't tell her anything that's happening around the world, I just keep on infusing her with positive images and positive energy? Or do I give her a bit of a reality check, in terms of here are the things you might face and here are some ways that you can deal with these things... But at the same time not wanting them to walk out feeling defeated or feeling that they don't belong." Rania El Mugammar says the world will teach you hard lessons over and over again. Having 'the Talks' allows parents to control the message. "I would rather the lesson be taught in the safety of my home with the intention of love and protection rather than as the by-product of something violent." El Mugammar's son is 3-years-old. She says she's already begun to have these conversations with him. "He's a light-skinned, mixed-race child and people say 'Oh, he's so beautiful, his complexion is really nice, his curls are beautiful,' and I'm constantly having to talk to him and show him images of lots of different kinds of beautiful black children so he doesn't internalize that anti-blackness. And for a light-skinned black man, that anti-blackness will manifest as 'you're better because you're not like those black people,' and those black people are me and the rest of his family. So finding the tools to deal with that and accepting that, yes, he's beautiful, but not for the reasons people are telling him." In addition to having these conversations with her own children, El Mugammar works with young men in her Toronto community. She says she's constantly speaking with boys about how racist and Islamophobic stereotypes shape their identity. "The fact [is] that we live a place where 90% of Islamophobic violence is directly targeting visibly Muslim women. So they are afraid not only for themselves but for the women in their communities and they don't know how to go about being allies and protectors without adding to that idea of their aggression and being overbearing." Click LISTEN to hear Rania El Mugammar and Samiya Abdi discuss what it means to wear your "best hijab," how black parents advise their children to interact with police, and how they bring joy into these heavy conversations.